How to use funnels – How can we help you today? 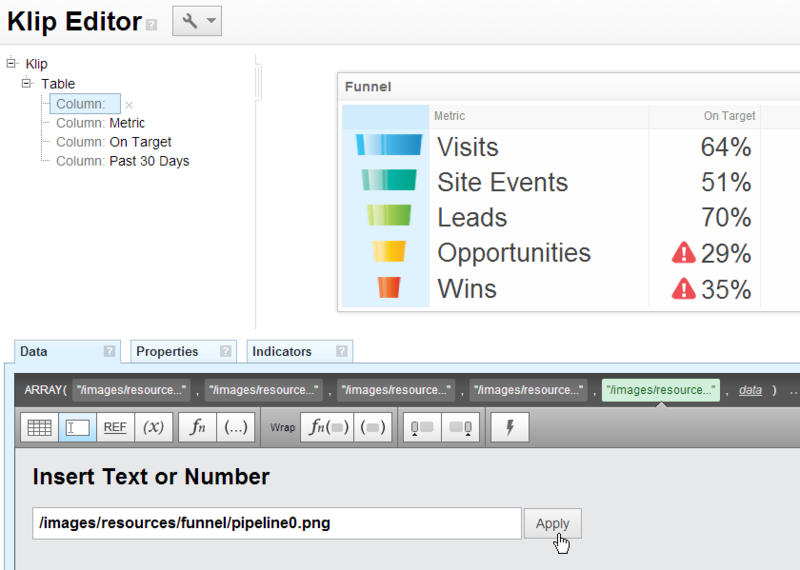 Klipfolio provides colored images for you to build a funnel in the Table component. Funnel images add context to your business metrics, such as conversion rates at each stage of the marketing funnel. You have the option to use Klipfolio’s 10 stock images that make up a funnel. You can also use the funnel component to build a funnel chart. Select the Table component from the list of Klip styles. Click the Insert function button. In the formula bar, select the data element of the ARRAY function. For more information, see ARRAY function.